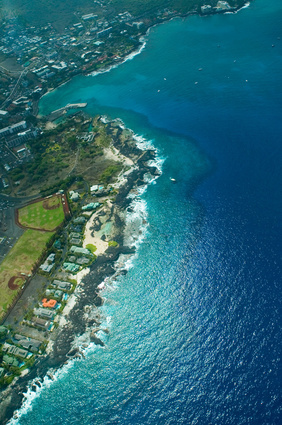 Monarch Air Group provides private air charter in Big Island, HI. Our clients benefit from top-notch service, unrelenting dedication to safety, wide selection of aircraft, and years of experience in chartering private jets. To obtain a free quote, please use our online quoting tool provided below, or call toll free 1-877-281-3051. Monarch Air Group provides private jet charter flights in and out of Big Island, Hawaii, USA. Renowned the Big Island, the Island of Hawaii is situated in the North Pacific Ocean approximately 2400 miles southwest of the continental United States. Being the state’s biggest island and the youngest of Hawaiian Islands, the Big Island is about 800,000 years old. Situated on the northern coast of the Big Island, Hilo is the county seat of Hawaii County and the island’s major town. Having snowcapped mountains, active volcanoes, lush valleys, great rain forests, beautiful waterfalls, wonderful gardens and breathtaking attractions, the Big Island is a perfect destination with unique geological diversity and natural beauty. It boasts the tallest sea mountain in the world that stands at 13,796 feet above sea level – Mauna Kea. Nicknamed “Hawaii’s Island of Adventure” Big Island can provide its visitors with everything from exploring the tropical rainforests of Hilo, to scuba diving and snorkeling with manta rays off the Kona Coast and lava viewing at Kalapana. While planning a trip to the Big Island be sure to explore Hawaii’s blend of customs, cultures, traditions, and cuisine through numerous sights and places of cultural and historical interest. Hawaii is served by Hilo International Airport (ITO), Waimea-Kohala Airport (MUE), and Kona International Airport (KOA), which provide charter services in and out of Canada, USA, Middle East, Europe, Africa and others worldwide places.